Best digital marketing case studies are meant to not only inform us on significant accomplishments for this year but to inspire us in the year to come. A digital marketing campaign is an online marketing effort by a company to drive engagement, conversions, traffic and revenue. While the best digital marketing case studies demonstrate integration, depending on the unique aspects of the business, certain channels can stand out. Here are the 20 best digital marketing case studies of 2018 to inspire in 2019 across the areas of content marketing, ecommerce, mobile, social media, UX experience and video. LEVONO: Developed a digital content hub called “Tech Revolution” to deliver technical news and technology information to IT decision makers for best digital marketing case studies of the year in content marketing. They were able to successfully engage with their target audience through this content marketing hub. The leads generated via Tech Revolution, were routed to their website, based on which sales executives were able to readily connect with consumers. The digital content hub had more than 250 articles with 34 million impressions, 308 link clicks, and was visited by 1,70,000 new web users, In terms of financials, $300 million in sales was attributable to this initiative alone. HUBSPOT: Coined the phrase “inbound marketing.” The main reason HubSpot has grown so fast is because of their content marketing strategy. Their blogs are central to their content strategy: one focused on marketing, the other on sales. 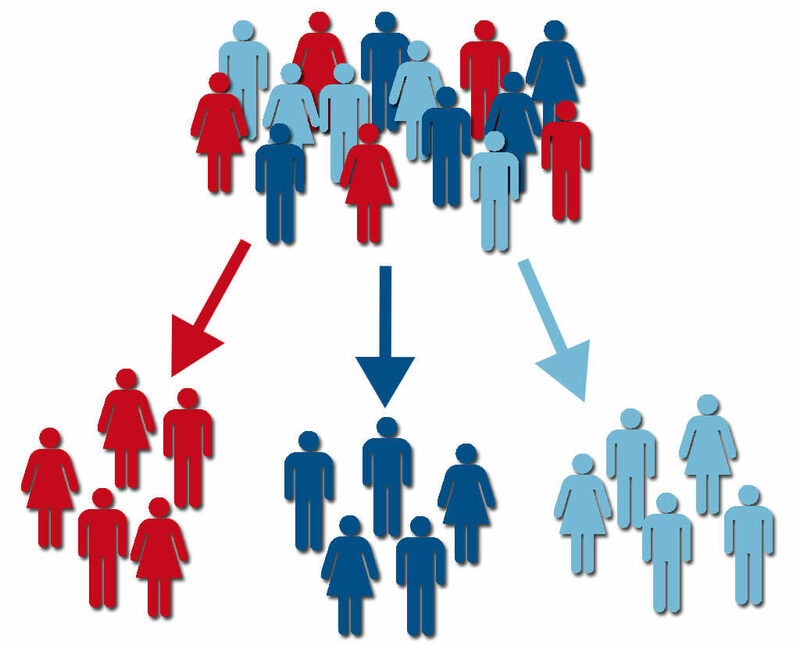 The goal of these blogs is to help HubSpot acquire traffic to their funnel. Content marketing has been one of HubSpot’s main growth drivers. It helped the company go from being funded in 2006 to a $75 million run rate public company worth over a billion dollars. STR SOFTWARE: Attracted large businesses with big budgets and long, complex sales cycles. So instead of investing thousands of dollars to acquire each customer, STR Software decided to to set themselves apart by developing a content marketing strategy. STR Software promoted their “University” extensively throughout their site, including on their homepage, sidebar, and other articles. They also used email marketing to promote it to their audience. They saw 54% increase in website traffic, 67% increase in pageviews and 10% conversion rate on forms, up from 1-2 percent on other forms. RAW GENERATION: A company that makes drinking raw, unpasteurized juice from fresh fruits and vegetables more convenient. For their business, deal sites like Groupon, Gilt and Rue La La proved to be a major channel. After initially promoting on social media and getting no traction, Jessica, the founder was introduced to Lifebooker, a deal site. After promoting on Lifebooker, they hit a homerun. Once they discovered a marketing channel that working, they didn’t go seeking new marketing channels. Doubling down on the channel that’s working took ecommerce sales from $8K to $96K per month. BEARDBRAND: An Ecommerce store that sells beard oil and beard care products and that prides themselves in leading the movement for all the “urban beardsmen” of the world, chose not to put ads or not to put products on sale because they wanted their brand to be as consistent as possible in providing premium customer experience. Then focused on offering premium customer experience by using high-quality oils for beard care, high-end packaging, one-business-day shipping and offering no discounts on products. Within a year, they created an ecommerce business that went from $0 to $120K per month. CAROLINA PANTHERS: Wanted to elevate their ecommerce experience for their football apparel best digital marketing case studies for mobile. They enlisted the help of their official retail provider Delaware North Sportservice. One particular focus of the Panthers was to improve the mobile shopping experience. They not only looked at the desktop experience, but focused equally on the tablet and mobile shopping experience to be sure that customers would be able to navigate the site, find items, and checkout with ease –– no matter where they were shopping. Since the site has gone live, the Panthers mobile conversion rate, has increased 83%, with overall conversion rate growing by 37%. DUNKIN DONUTS: Launched a new text messaging promotion towards young adults in the Boston area. Via a local radio DJ, Dunkin’ Donuts advertised the text message promotion on-air and ran mobile internet ads encouraging people to opt-in to text message promotions. The result was 7,500 consumers opting in. 17% of participants forwarded or showed the text message promotion to their friends. 35% of the participants considered themselves more likely to buy lattes and coffee from Dunkin’ Donuts. 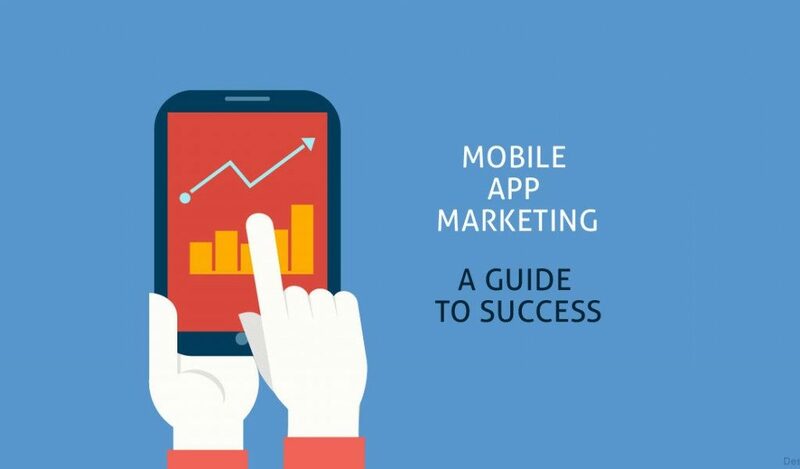 21% increase in store traffic occurred due to the mobile promotion. ARGOS: The British retail major wanted to deliver a multi-channel experience comprising 14 combinations of order and fulfillment. The British retail major wanted to deliver a multi-channel experience comprising 14 combinations of order and fulfillment. Its multi-channel sales comprised over 50% of the total sales. CHEVROLET AND BUICK DEALERSHIP: Castle Chevrolet & Castle Buick GMC turned to Facebook Advertising, targeting the campaign to Facebook users who were located within a few miles of their showrooms as well as those that lived near Castle’s top competitors. The ads featured a map that showed exactly how close Castle’s dealerships were to the audience. 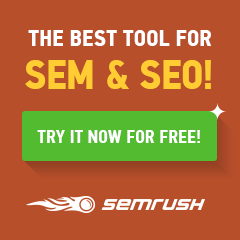 The three-month campaign generated 2,212 unique visits to the dealership website at a cost of $0.98 per click. 23 vehicle sales were directly attributed to the campaign, providing a 23x return of advertising spend. DISNEY: Came up with a wonderfully simple idea. For every photo that featured Mickey Mouse ears and the hashtag #ShareYourEars uploaded to Facebook, Twitter or Instagram, Disney would donate $5 to Make A Wish Foundation. The campaign for best digital marketing case studies of the year was a huge success and Disney ended up donating $2 million. SHUTTERFLY: A company who flagship products are photo books, came up with a promotion to offer a free personalised ceramic mug. And the audience they chose to target in best digital marketing case studies for social media? Mothers with kids at home. Using Facebook’s Offer Claims feature, Shutterfly reached out to their target audience and distribute a unique, single-use offer code to each person who clicked its ad. The three-day campaign resulted in over 16,000 offers reclaimed. But crucially there were 8,000 additional purchases generated, resulting in an 11-fold return on ad spend. STATE BYCYCLE CO.: Came up with a number of ways to reach out to cycling lovers. One of the most popular is their weekly photo challenge, where State Bicycle Co. reward the follower who submits the best snap on a given theme (e.g. the winner of the “most beat-up bike” theme landed themselves a brand new ride). State Bicycle Co. also offer unique discount codes on ‘Facebook Fridays’ and encourage followers to like posts to reveal sneak previews of new products. Since 2013 State Bicycle Co. has grown its followers from 4,500 to 480,000. Today, 12 per cent of State Bicycle Co.’s website traffic comes from Facebook, at a fifth of the cost per click of other platforms. Best of all? State Bicycle Co. attribute $500,000 in annual sales to coupon codes and traffic from Facebook. CONCORDIA PLAN SERVICES: An insurance provider, had a major problem for best digital marketing case studies in UX experience. Its three disjointed websites made it nearly impossible for users to find information and forms. As a result, customers resorted to calling support with basic requests, tying up support lines, causing customer dissatisfaction and increased support costs. They consolidated three websites and over 800 disjointed pages into a single 60-page user-centric website. The new website makes it easy for users to find information, resulting in a significant reduction of support calls and resulted in an improvement in 92% customer satisfaction. HEARTLAND SENIOR FINANCE: (HSF): Australia’s largest leading provider of reverse mortgages, enables seniors to release equity in their property to help them live better in retirement. They developed content around solving problem to use keywords their customers used in organic search. They created a drop-down widget on the homepage which led to optimized landing pages, each focusing on one of the reasons for taking out a reverse mortgage. They did systems consolidations to ensure they converted as many leads as possible. In just a few months, the saw: 1) 29.5% increase in page views, 2) 25.38% increase in new visitors, 3) 81.2% increase in returning visitors, 4) 71.95% increase in guide downloads (leads) and 5) 19.94% increase in conversion rate. STANLEY: Consolidated two separate brand web properties into one site. The process needed to mitigate traffic disruption, improve traffic, and increase organic search results. So they focused on increase search rank of top performing keywords as the key measurement of web design success. The results? Almost 40% of keywords Stanley ranked for were on the first page of organic results, and the company generated a 100% lift in revenue. CHILI’S: Decided to run a digital campaign to raise awareness of its 3 for $10 deal. The plan was to capture people’s attention using a made-for-digital 15-second creative spot that highlighted one of the meals from the promotion. Form ads — a new TrueView for action format optimized for lead generation — create a sign-up form that enables viewers to submit their name and email right below a video ad. It’s a quick and easy process that doesn’t interrupt the viewing experience. The campaign ended up generating over 7,800 form leads, a valuable addition for a campaign focused on brand consideration. OVERSTOCK: Personalized each of the 15-second pieces of creative on YouTube. While the first half was one of several funny plays on a person’s name, the second half was tailored to a specific set of products, like furniture, dining, or bedding. Overstock regularly used search ads. If someone is browsing online for, say, a table, the company can serve up a relevant ad featuring tables. Using a new YouTube tool, Overstock was able to take this understanding of what customers were actively looking to buy and apply it to video. Overstock used TrueView for action, a direct-response format, placing a call to action underneath the ad that told people to “Shop Now” or “Save Big.” When viewers clicked, they were taken directly to Overstock’s website. The direct-response video campaign an 80% increase in the conversion rate compared to other campaigns. NAVY: Shot their first made-for-digital creative and personalized it for those audiences for best digital marketing case studies of the year. The creative was built into over 60 different 15-second and six-second video ads, all tied together with the tagline “Forged by the Sea.” Finally, they served the ads in a specific order, making sure each viewer saw more than one. People who saw the ads two or more times were 16% more likely to consider joining the U.S. Navy, and users who saw the ads at least twice were 19% more likely to search for U.S. Navy keywords on YouTube within three days. PEEL: Sells thin phone cases, with the major selling point being they’re both functional and stylish. They used Facebook video ads to help tell the story of what separates their products from everyone else. When one of your brand’s major selling points is aesthetics, little details conveyed in video proved critical to messaging. The campaign proved successful resulting in a 16x increase in revenue and 3x higher ROI in best digital marketing case studies for video. 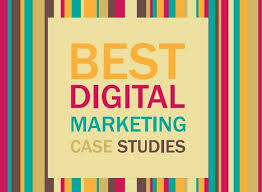 Do these best digital marketing case studies in 2018 provides inspiration for 2019? Does your business need direction in digital next year?